Note: pitch designations are not included on stop labels except for the Pedal stops. Eight channel capture system with range set. The process of restoration of any organ pipe facade requires months of work, starting with the careful investigation of the pipes in their current state. So our first task when we were asked to undertake the restoration of the Nicholson organ was to investigate the state of the existing finish of the pipes to record what designs, colours and materials were used. During the course of our examination, we found that the diapering had suffered from the typical 'ravages of time' and careless handling over the last century or so. The paint surfaces were very dirty, discoloured and faded, and there were scrapes crazed areas and deep scratches too. Even with all this wear and tear the overall painted surface was still remarkably intact. So, with enough original decoration left, we were able to work out the stencil patterns and placement and the materials used, i.e. paint colours and gold leaf. One other thing that was very significant and was to make our job a little more difficult was that the original pipes were made from 'black metal'. This is a very soft metal and also rather heavy, so we had to be very careful when handling, lifting, working on and storing the pipes so that they didn't get squashed or sag under their own weight. One of the things we did to tackle this problem was to make up special work blocks which helped distribute the weight of the pipes more evenly when we were working on them. The original facade had 21 pipes in total. However, because of the plan to have a duplicate facade and case made so that the visual effect of the organ facade in the gallery would be balanced, a new set -of dummy pipes had to be made. The new pipes were made of zinc, a metal that is much stronger and lighter than the lead used in the old pipes. The number of pipes in the new, enlarged facade we were to decorate totalled 38. Because of the state of the original pipes, it was decided that both the old and new pipes would go through the same decorative processes so that they would be a perfect match. The task of recreating the original designs and colours involves many processes. Firstly, the original colours have to be identified. This can take several hours of investigation, involving techniques such as paint scraping, sanding and dissolving layers of paint. 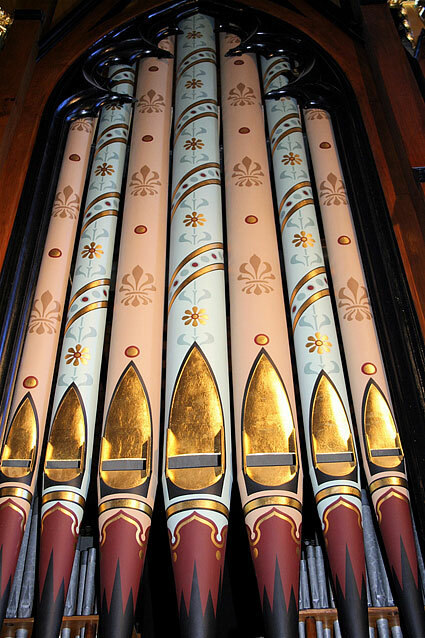 On the Nicholson organ pipes six colours were identified: black, deep red brown, mid and light green, tan and mid-brown. 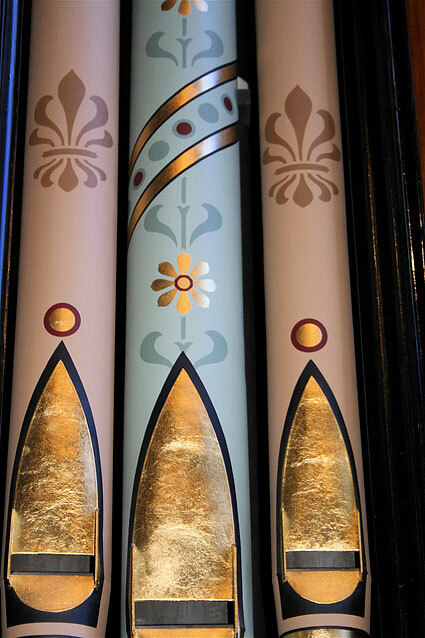 Gold leaf was also used for bands and mouth decoration and for two of the stencil elements. To get copies of the stencil patterns, tracings had to be taken from the actual pipes. These tracings were transferred to stencilling material and then cut out by hand and both gold leaf and paint were applied through the appropriate stencils. The stencil patterns were applied over the ground or body colour in progressive layers and stages to build up the complete pattern. In total, nine stencils were required for the patterns on the facade pipes. A special and unusual feature of the decoration of these pipes is that the stencil patterns and main ground or body colours alternate across the whole facade. Two distinct stencil designs are used: one is made up of an anthemion motif and dot combination on a tan ground colour. The other is made up of a flower and leaf motif alternating with a dot and angled banding combination on a light green ground colour. To help link the patterns, all the pipes share a common foot decoration and gilded pipe mouths. The sparkle of gold leaf will certainly be evident when the pipes are in situ. We prefer to use 23 carat leaf as it doesn't tarnish or go dull like gold paint. It also enhances and helps highlight the stencil work. Acrylic paints are used so that the original finish can always be uncovered and studied in the future. After two and a half months work by two people, the facade pipe decoration was completed. The newly restored decoration lends a vibrancy and beauty to the facade of the Nicholson organ and can now be enjoyed as it was over 100 years ago. at the Congregational Church, Prahran (credit: John Henwood). 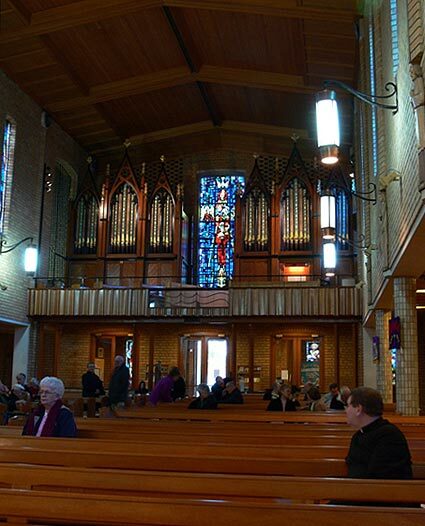 The Frederick Nicholson organ originally installed in the Congregational Church (later Uniting) Malvern Road, Prahran. The members of the Independent Congregational Chapel were highly influential in the history of Prahran. A great deal of Christian outreach was undertaken by them lead by their Pastor, Rev. William Moss. He was a great philanthropist and was instrumental in establishing the Institute for the Blind and the Institute for the Deaf, both located in Prahran. Frederick Sargood, a prominent figure in the history of Melbourne and first Chairman of the Municipality of Prahran was a member of the congregation of the Independent Chapel. Prahran's main business precinct, Chapel St was in fact named after the first Congregational Chapel which was located only metres away from the present building on Chapel Street. The first Independent Chapel was built in 1852 and was said, by Rev. 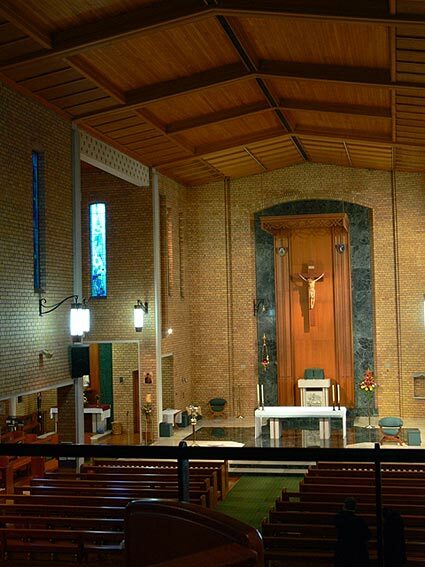 Moss, to be the first place of worship erected in the suburbs of Melbourne. When, however, the gold rush attracted a large population to Victoria it was necessary to enlarge the church and it was reopened on 20th February 1853. By 1858 it was necessary to build again and the stone of a larger building was Laid by His Excellency the Governor Sir Henry Barkly on November 22. The press of the day reported that, "an attempt at a platform broke down during the ceremony, causing His Excellency, several clergymen, reporters and other persons to come rather hurriedly to the ground." Fortunately the platform was not more than three feet high. The building was opened on 10th April 1859 the architects being Crouch & Wilson. In 1857 it was decided to try a harmonium for three months, but a ballot voted against keeping it. In July 1861 permission was given for the "singing committee" to order an organ. It was decided to purchase an instrument from Frederick Whitworth Nicholson of Bradford, England. Importing of organs was a service offered by the firm Wilkie, Webster & Co. of 15 Collins Street, Melbourne. In 1870 George L. Allan, a singing teacher joined the firm, which then became Wilkie, Webster & Allan. After Joseph Wilkie died in 1875, the firm became known as Allan & Co. and is still in operation today. 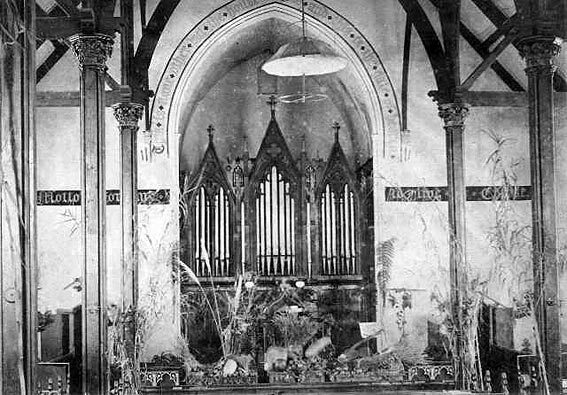 The Nicholson organ, one of the largest in Australia at the time it was installed in the church during 1862 and was opened on 19th February 1863 by the Melbourne City organist Charles E. Horsley, W Clarke, and a chorus of fifty voices. The cost of the instrument was 650 pounds. There were several Nicholsons, most likely related, operating as organbuilders in England in the 19th century. Regarding Frederick, "His factory was still recorded in Bradford in 1888, and he is said to have founded his business in 1830. His later work seems to have been influenced by Schulze, but his bright chorus managed not to be so devastating. One of his organs reached Australia, but was pneumaticked and is now unplayable." This is one of only a handful of paragraphs written about Frederick Nicholson. It is also worth noting that Frederick was the only one of his family to work as an organbuilder in Yorkshire. From the British Institute of Organ Studies Journal, (Vol. 8, 1984) "Yorkshire Organ Builders of the nineteenth Century," by Rev B. B. Edmonds. The organ experienced a degree of malfunction during its first 23 years in service. This was not uncommon with imported organs as the timber used in their manufacture had not been seasoned to withstand the excessive heat and sudden changes of temperature during the Australian summer. 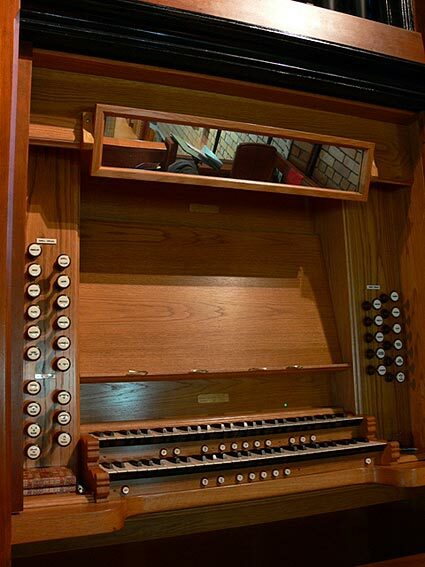 In 1920 the mechanical action of the organ was replaced with a pneumatic action, with constant use it gradually deteriorated until the organ was virtually unplayable by 1984. 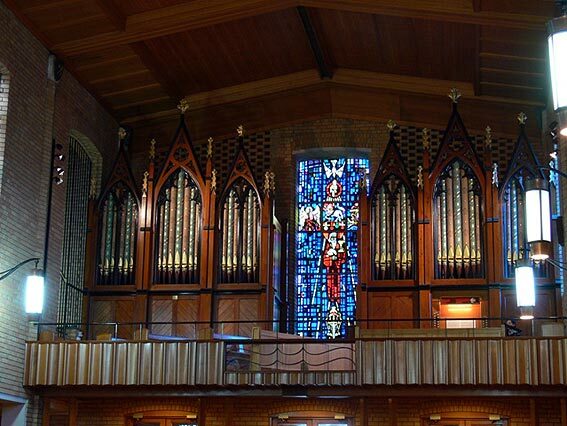 It is worth noting, however, that during the organ's 120 years at the Congregational Church very few changes were made to the actual pipework of the organ, this is quite rare in an organ of this age. The striking qualities of the sound of the organ where still apparent in its wheezing and gasping state in 1982. 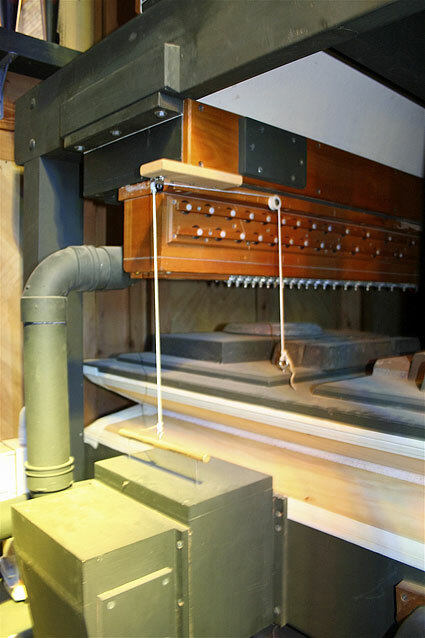 A delegation from the annual conference - of the Organ Historical Trust of Australia visited the instrument and heard a demonstration on August 30th. It was noted in the conference booklet, "Even in its present state, the tonal splendour of the original conception remains strongly evident." After 120 years of use with no major overhaul it certainly was a credit to the original organbuilder that the instrument was still functioning at all. 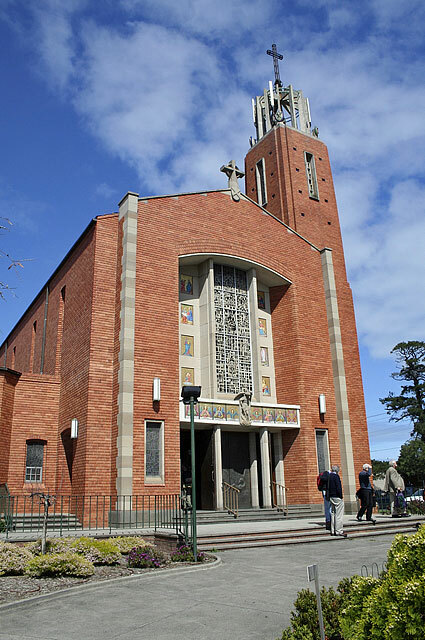 During the 1980s the Congregational Church (then Uniting) was purchased by the Prahran City Council and the future of the organ became uncertain. The City Council initiated plans for the Church to become a Community Arts Centre now known as 'Chapel off Chapel') and so the Nicholson organ was advertised for sale. 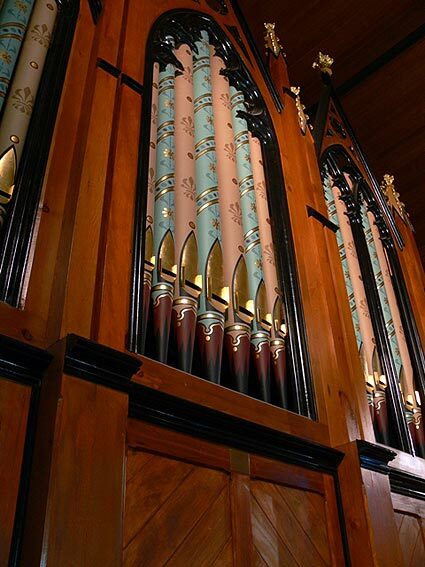 After considering a number of submissions, the City Council generously gifted the organ to St Patrick's, Mentone, thus ensuring the instrument would be used for Christian worship for another century or more. 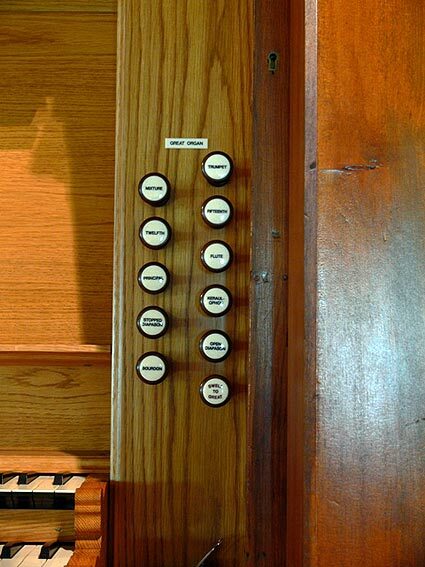 It was agreed that a plaque would be placed on the organ noting the instrument's original history and location. 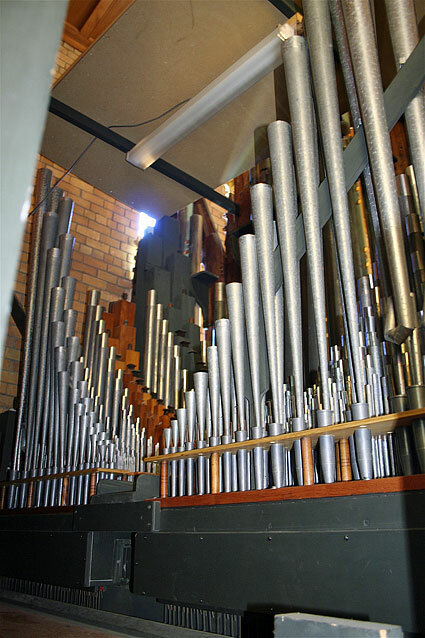 The historic Nature of the Nicholson Organ was recognised by the National Trust of Australia (Vic) in 1981 when it was awarded the highest level of classification by this body. The National Trust citation contains some interesting facts: "It is the only remaining example of a Nicholson organ in Victoria, and 'its historical value is further enhanced by these characteristics... almost all of the pipework is original, and its design and scaling display the strong influence of German organbuilding... being a relatively large organ, a large sample of mid-nineteenth century English organbuilding practices are present which enables a very complete picture of this style of organbuilding to be seen. As such this organ has tremendous archival value... it is the largest surviving organ from the early years of Victoria." Visually, its striking casework in neo-gothic styling and the splendid decorative facade pipes stencilled in 19th century style has always been striking. Tonally, once installed and operational the organ will sound very close to that heard in 1863. 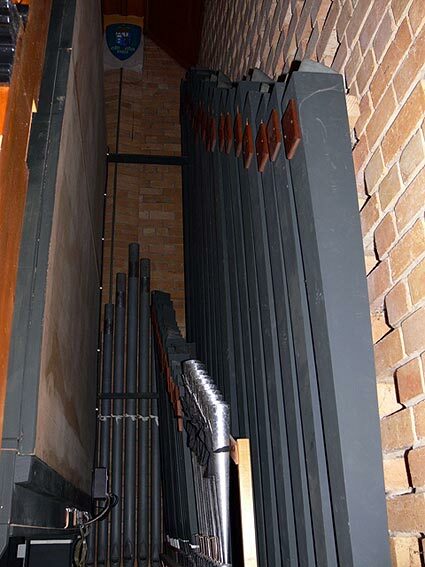 The organ has been restored and installed in St Patrick's Church by Pipe Organ Reconstructions Pty. Ltd., North Rocks, Sydney. 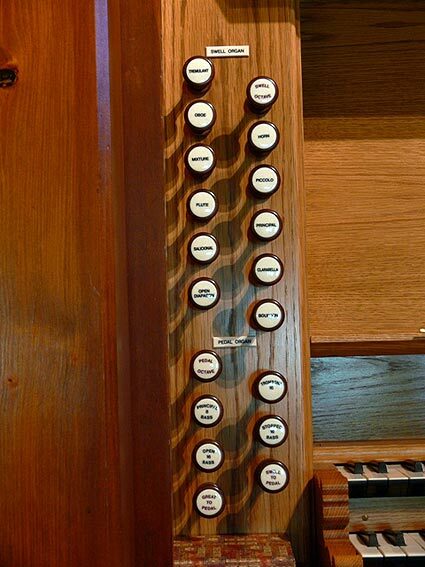 The specification of the instrument remains largely unaltered, but the layout of the instrument has been reconfigured to enable installation in the gallery of the church. The Great and Pedal pipework has been located on the east side of the gallery. (The right side looking up from the nave of the church.) The Pedal Stopped Bass 16' and Principal Bass 8' are in their original positions either side of the Great soundboard. As is the Open Bass 16' placed behind the Great along the gallery wall. The casework and facade is original on this side with pipes from both the Open Diapason and Principal Bass 8' contained in the facade. The stencilled facade pipes have been meticulously restored. A new electro-pneumatic key action has been installed along with new electric stop action. A new console has been constructed along period lines built in to the facade on the Great side. It is mainly crafted from oak and finished in a light stain. The drawstops are facsimiles of the originals carved from walnut. The stop labels are made from ivory resin; the lettering style also copied from the original. A new pedalboard, adjustable bench and keyboards with scrolled key cheeks have been installed along with a combination memory with range set capability and eight memory levels. On the west side of the window is the Swell pipework. This division, originally only to tenor C, has been extended to full compass. Space has been left behind the swell box for the addition of a Pedal Trombone 16' at a later date. The building frame and casework on this side is new as are the zinc facade pipes with the stencilling beautifully duplicated. The manufacture of the facade for the new case represents a magnificent achievement by the craftsmen involved, the carving of the gothic arches and finials being particularly detailed. The casework has been highlighted with 23 carat gold leaf at the tops of the end posts and the carved finials at the top of the gothic arches. There is now no doubt that the Nicholson organ is one of the most visually stunning organ facades in the country. Cooper, J. B. (1912) A History of Prahran 1836 - 1911 From its First Settlement to a City, Melbourne, Modern Printing Cp. Pty Ltd. Organ Historical Trust of Australia, Fifth Annual Conference Programme (1982, 28 - 30 August.) Uniting Church, Prahran p.16.